Frequently, we at the Maryland Drivers Alliance find ourselves criticizing programs like Baltimore City's speed camera program, which had a long pattern of issuing erroneous citatinos. But in fairness, we rightly should give credit to Baltimore's photo enforcement program for one thing: in at least some cases in the past, Baltimore City's program has ADMITTED to making mistakes. And in the most recent instance where Baltimore messed up on the first day back in business by issuing hundreds of erroneous duplicate tickets, they voided or refunded all those tickets. It's appropriate to point out that at least in some cases, Baltimore City's program did the right thing by admitting to errors and issuing refunds when they were in fact at fault. There have been other cases such as in speed camera programs in Greenbelt and Hagerstown, where the cities refunded at least some citations and admit the truth after annual calibrations were allowed to lapse. While we have in the past cited these as examples of things programs have done wrong, we should also rightly give these programs credit for NOT simply hiring a team of attorneys to cover their tracks and finding a way to keep improperly gained ticket revenue. When an agency breaks the rules, the ethical thing to do is to void or refund all the tickets, not to argue that it is OK for the government to break the law or to try and invent bizarre legal loopholes to justify an improper action or errors after the fact. But not all programs believe in admitting mistakes and refunding tickets. And the prime example to that is the "model" photo enforcement program in Montgomery County. 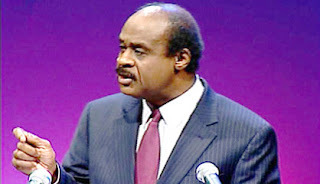 The Montgomery County Government wrote the book on the principal of "Admit Nothing and Keep the Loot". In the "Baker vs Montgomery County" case, Montgomery County spent thousands of dollars worth of taxpayer money fighting for the principal of government immunity, successfully establishing the legal precedent that no matter what a speed camera program does wrong, no matter what defect might exist in their system, no matter what rules, standards, or laws were broken by a local government, in Maryland a photo enforcement program cannot be sued to compel refunds. Thanks to this ruling, in Maryland, "The Crown Can Do No Wrong". We have observed this program living up to the "ideal" of "once you have their money, never give it back". When it was discovered that Montgomery County had been systematically failing to record daily calibration logs for their equipment, the agency's initial response was to state "we're not going to do those tests every day", and to not issue refunds for the THOUSANDS of citations which had been issued without valid calibration records. Years later, we confirmed that the legally required calibrations did not exist, and the citations issued on those days had never been refunded. When we asked Montgomery County's "Ombudsman" (who was in fact the deputy director of the speed camera program and not in any way independent) to investigate this matter, to which he eventually responded "As Montgomery County’s Local Designee, I will conduct a review of citations issued on weekends and holidays during 2009, 2010, and 2011 to determine whether or not it was systematically the case that the Montgomery County Police issued speed camera citations for violations that occurred on days when no daily set-up logs were filled out and signed, and no Montgomery County operators were on duty. And I will provide you, Mr. Ely (the requestor) with a written response describing my findings." More than a full year later, we have yet to see the "findings" from this "investigation" by the "Ombudsman". Two complaints sent to the "Ombudsman" about this in October of 2016 were never responded to. It seems little has changed. When it was discovered that a red light camera in Montgomery County had a yellow light time at a red light camera shorter than the current SHA standard, the county refused to talk to the press or to void or refund any tickets. No, instead it appears what the agency did was #1) admit nothing #2) argue that they were not out of compliance so long as they got into compliance eventually #3) keep the money from those tickets. Worse yet, the agency lied to the Maryland Public Information Act Compliance Board about database records we had requested from the agency which would document exactly how many citations were the result of noncompliance with this standard. The fact that we DO know that after the light was lengthened in response to our investigation citations dropped 50% -- that by itself should be enough to establish that there is good reason these records should be made public for a closer examination. An open letter sent to Ike Leggett expressing our concerns about this was ignored. Instead, the agency has sought to try an legalize their behavior after the fact, alternately claiming they can choose an alternative standard to follow, or that the times recorded by their own equipment showing a short yellow light time were simply incorrect, or that . Even after an investigation by the Montgomery County Inspector General confirmed that 13% of yellow times did not meet this particular standard, the county continues to throw expensive taxpayer funded legal resources into circling the wagons, rather than admitting fault, producing the public records we have requested, and refunding tickets. Likewise, when a Maryland state delegate wrote to Montgomery County to complain and to call for these citations to be refunded, and the county similarly rebuffed this request. This approach of saying "it is still legal because we have forever to come into compliance" is an approach taken by another "model speed camera program" -- the SHA's "Safezones" program. 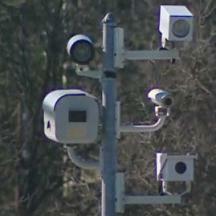 When it was discovered that the SHA had failed to have their speed camera equipment independently calibrated -- as the law explicitly requiress -- for the first nine months of their program, a fact confirmed in 2012 by the SHA's own audit, their excuse was that they could use that equipment for a full year before doing so. And like Montgomery County, the SHA never refunded those tickets issued for the 9 months were this equipment didn't meet this required standard clearly written into state law. Apparently, what constitutes a "model'' photo enforcement to some organizations is to surround your program with attorneys and PR agents who will "make it legal" after the fact whenever you break the rules. Again and again we see programs assert arguments based on "government immunity", or "ignorance of the law is an excuse" or "the law only means we need to EVENTUALLY come into compliance". Do automated traffic enforcement programs hold motorists accused of a violation to this standard? Would Montgomery County void your ticket if you argue that you have "sovereign immunity" or "I didn't know I needed to make a full stop before a right turn" or "I promise to give up speeding for lent next year"? Then why is it acceptable for a local government program whose purpose is to enforce the law to follow the principal that they are above the law, or worse, that they can make the law mean whatever they want in whatever way happens to produce the most revenue? Why would a "model" program set the example of keeping that revenue at all costs, even when rules were not followed in ways that may have wrongfully entrapped motorists? Is it OK to corral defendants of individual photo enforcement tickets into "speed camera days" and "red light camera days" with literally A HUNDRED CASES assigned to a single judge in one morning, making it impossible for due process to be followed or for judges to give genuine consideration to the legal merits of defenses? Is it a "model" for these programs to continuously push for the burden of proof against motorists to be lowered, until there is essentially no legal defense one can offer in such an "assembly line" hearing? Is it OK for such a program to schedule secret meetings which ban critics from attending, form secret "citizens advisory boards" which have been exempted from the Open Meetings Act to discuss speed camera legislation, or to lie to state compliance boards to withhold records from your critics? This is not a "model" for a program run with integrity, but instead is "model" for allowing other local governments to break the law any time they choose in ways that generate more money. In the cases where some local governments have issued ticket refunds, those agencies could have stood on the "Baker vs Montgomery" ruling and forced each individual ticket recipient to defend their own $40 ticket in court, costing that person more than the value of the ticket to do so, knowing few would do so. The burden of proof on these agencies is so incredibly low that they might even have been able to throw legal resources at this and found a technicality that would let them uphold even the most outrageously bad tickets in district court. And they maybe could have withheld records of anything really embarassing about their errors from the public, their critics, and the press. They could have followed the lead of the "model" photo enforcement programs. And, I suppose, if the Maryland Drivers Alliance and the press isn't able to watchdog them all the time, if public officials believe they have nothing to fear from motorists at the ballot box, if they believe they can quietly sweep it under the rug, then the next time some local government issues hundreds or thousands of bad tickets, they might well choose to follow Montgomery County's "model" instead of doing what is right and fair and which doesn't place local governments above the law.